The Chinese government has been committing heinous crimes against many of their neighboring countries. One such example is the harassment of Vietnamese fishermen in the Southeast Asia Sea, better known as the South China Sea. Vietnamese fishermen today are constantly harassed and abused by the Chinese Navy, with little protection from the Vietnamese government. 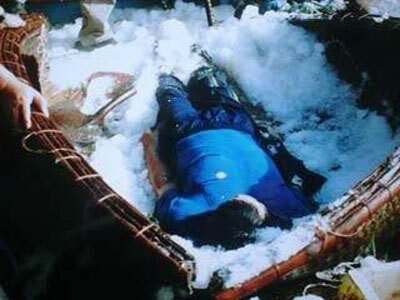 The body of a Vietnamese fisherman who was robbed and killed by Chinese Communist Naval forces in the Gulf of Tonkin. The murderers stuffed his body in a fishing basket, filled it with ice, and sent it home to his family. This incident occurred fairly recently, although the date is unclear. 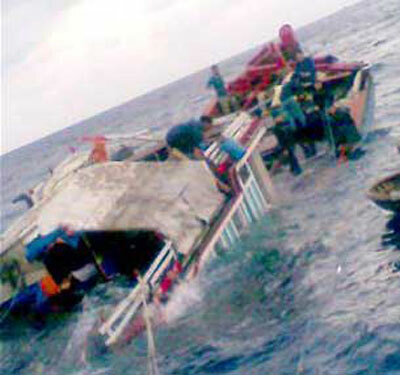 This incident occurred on June 12, 2010 while the fishermen were still sleeping. The fishermen’s boat was rammed by a larger boat believed to be under the control of the Chinese Navy. The attack caused significant injuries to the fishermen. A similar case happened three days earlier on June 9, 2010. 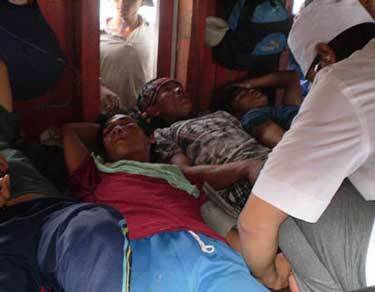 Vietnamese fishermen were attacked by a large boat that appeared to be controlled by Chinese Naval forces. This attack also occurred when the fishermen were asleep. For anyone who is interested in learning more about former South Vietnamese President Ngo Dinh Diem, there is an excellent article about his political struggles titled Vision, Power, and Agency: The Ascent of Ngo Dinh Diem, 1945-54 by Edward Miller. This artical examines the challenges and obstacles that Diem was faced with in his search for Vietnam’s Independence. In the past several decades, scholars chose to characterize President Diem in many different ways. Some called him corrupted, some called him reactionary, while others called him a puppet that was simply hand picked by the United States. These perceptions of Diem however are made with bias and ill-intentions while others make reckless assumptions based on these distortions of facts and are therefore abstracted by these claims. The evidence in this article points out that Ngo Dinh Diem went to great measures to achieve his politicial goals, travelling abroad and making numerous connections with many prominent individuals in Japan, France, and America. Interestingly enough, this article even discusses Diem’s relationship with Ho Chi Minh, why Ngo Dinh Diem was such a threat to him, and why Ho Chi Minh tried to assassinate Diem on numerous occasions. 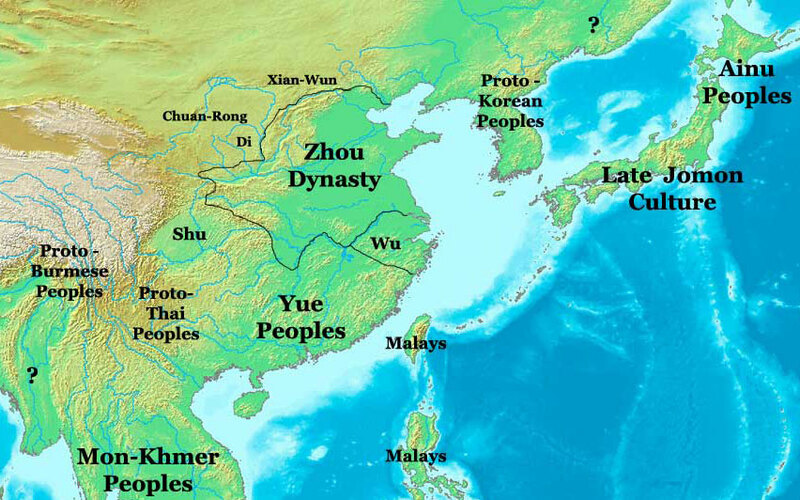 The “Southern” people mentioned by Confucius represents the Lạc Việt people of the South while the “Northern” people represents the nomadic tribes of the Zhou Dynasty. Confucius made this statement as criticism of the Chinese people of that era, comparing their barbaric, violent, and immoral lifestyle to the peaceful, civilized, and intelligent people of the Southern country. The Zhou Dynasty was the last of the Chinese nomadic tribes. The time period was around 1000 B.C. and the Zhou Dynasty was making the transition from a nomadic life to a settled society. It was during this time that a genuine Chinese state began to solidify. Confucius was born in 551 B.C. under the rule of the Zhou Dynasty. Society under the Zhou was perverse and immoral. Corrupted kings, murderous generals, and incestuous families characterized the withering society in China under the Eastern Zhou. This period of disturbance became known as the Spring and Autumn Period in Chinese history. 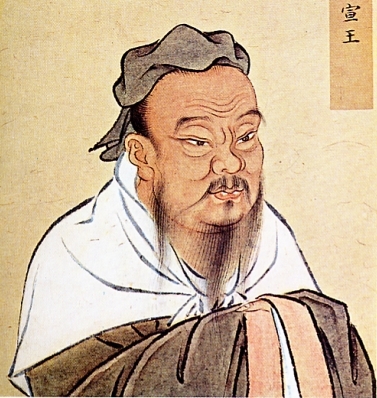 Witnessing the disintegration of his society, Confucius searched for ways to educate his fellow Chinese. The vast amount of land located directly south of Zhou China is where Vietnam was located originally (over 6000 years ago). The name "Yue" is a Chinese transcription of "Viet." Vietnam, during this time, was already an established nation by the name of Lạc Việt (Luo Yue in Chinese). The nation of Lạc Việt had its own civilization, culture, and literature independent from that of China. Existing 4000 years before the Zhou Dynasty, the antiquity of the Vietnamese people has clearly been proven. It was from Lạc Việt that Confucius discovered the teachings of morality and compassion, it was here that the teachings known as Confucianism was rooted from. 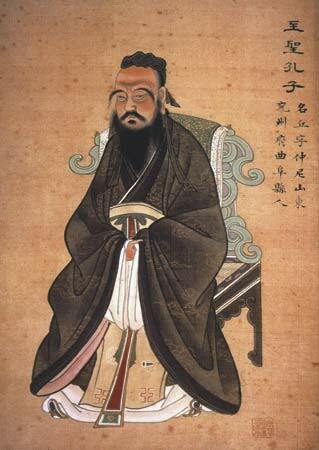 Confucius used teachings of Lạc Việt to educate the Chinese people, not the other way around. This fact can be verified in Confucius’ own literary works: Shi Ji (Classics of Poetry) and Chun Qiu Jing (Spring and Autumn Annals). Using Vietnamese folk-songs and poetry (known as Zhou Nan and Zhao Nan in Chinese), the people of Zhou learned to become a civilized nation. The civilization of Lạc Việt, even before the arrival of the nomadic tribes, had already established calender-making, astronomy, chop-sticks, rice-cultivation, and writing characters. The English and Vietnamese versions of "Vietnam: The Springhead of Eastern Cultural Civilization." English edition translated by Dr. Joseph M. Vo. Several weeks ago I announced the publication of the book Vietnam: The Springhead of Eastern Cultural Civilation. I then stated that the book is a comprehensive account of Vietnamese history which covers the origins of the Vietnamese people. However, after aquiring the book, I realized that this literary work is not a comprehensive book based on Vietnamese history through various time periods. It is actually a book dedicated entirely to the origin of the Vietnamese people. I finished reading the book just recently and what I learned from this book is literally groundbreaking! The Author of "Vietnam: The Springhead of Eastern Cultural Civilization," Mr. Du Mien Le Thanh Hoa. For centuries, even up to present day, most historians believed that Vietnam was a country that found its origins in China, and that Vietnamese civilization was rooted in Chinese civilization. This however, is a false allegation. The findings in Vietnam: The Springhead of Eastern Cultural Civilization not only falsifies this claim but also succeeds in explaining how Vietnamese civilization preceeded Chinese civilization. Le Thanh Hoa, the author of Vietnam, clarifies the fact that the Lac Viet (ancient Vietnamese) were agricultural people with their own civilization and culture while the Chinese at the time were nomadic tribes who lived by hunting and raiding. The nomadic tribes simply invaded the agricultural people, captured the culture of these people and claimed it as their own. At the same time, the conquerers also tried to eradicate the Lac Viet, killing and erasing the old histories of the agricultural people in order to maintain their control. It is for this reason that Vietnamese history has been so fragmented and rare, and why some sections of Chinese history contain so many loop holes and are widely debated among scholars. Confucius himself admitted that his teachings came from the Viet people. The authors of Vietnam: The Springhead of Eastern Cultural Civilization not only derive their ideas from western and Vietnamese sources, but also take key ideas from ancient Chinese teachers such as Confucius and the famous historian Sima Qian. One of the most intriguing, not to mention shocking, discoveries made by Le Thanh Hoa’s research is that the thousand year teachings of the great Kong-tzu (Confucius) actually came from the Lac Viet (ancient Vietnamese) nation, and that Confucius actually used the teachings of the Viet people to educate the Chinese people. Lac Viet was the first civilization of East Asia, independent from China, and older than China. How revolutionary these findings are is yet to be determined. For over a thousand years, the belief was that Vietnam was the offspring of China. This however, has proven to be false. It was actually the Viet people who gave birth to Chinese civilization. Whether individuals decide to embrace or reject this discovery, they must respect it. The facts exist and cannot be erased, not this time. When the Americans entered the war in Vietnam, they believed they could win the conflict in a swift and easy manner. The outcome, as you may know, turned out much differently than what was expected. Not only did the Americans lose, but were taught a valuable lesson by the North Vietnamese. After the Americans pulled out of Vietnam in 1972, the foreign policy of the United States shifted dramatically from forceful to passive. In the past, following the Allies’ victory over the Axis in WWII, the Americans were lauded as war heroes and emerged as one of the two dominant superpowers in world politics (the other being the Soviet Union). As a result of this prestigious political, economic, and military clout, America wielded the authority to shape the actions and policies of other countries in world politics for the next several decades. 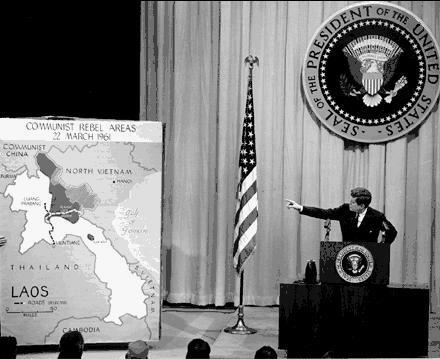 However, after the disastrous results of the American campaign in Vietnam from 1963-72, the power held by the United States seemed to have slipped substantially. For the next two decades, American foreign policy would be less militarily driven and more involved with moral and economic support. A good example of the decline in military involvement is when the Soviet Union invaded Afghanistan in 1979, the Americans supported the Mujahideen with weapons and supplies but never through the military itself. It appears that American use of the military during the events after the Vietnam War was quite minimal, often exerting their influence through proxy wars rather than direct military confrontation. It was only until 1990 did America begin to use the military in direct combat again. This was during the Gulf War period when American forces were sent into the Middle East to confront Iraqi forces occupying Kuwait under the order of Saddam Hussein. The Vietnam War proved to be a humbling experience for the Americans. Due to their failure in the conflict, the prestige of the U.S. was damaged significantly. The trauma associated with the war reverberated on the minds of Americans from all corners of the country. The protests, disturbing images of wounded soldiers and civilians, condemnation from the American public, and the subsequent defeat at the hands of the North Vietnamese eventually lead to the shift in American foreign policy in the coming decades. The shift can be characterized by the reluctance to use military force as a means to achieve one’s objectives. This opposition to war and armed conflicts on the basis of non-support from the public and fear of impending defeat came to be known as the Vietnam Syndrome. There are several reasons why the United States should never have entered the war in Vietnam, the outcome of the war being the most obvious reason of all. However, there are other reasons that the Americans should have stayed out of Vietnam which will be discussed here. Ho Chi Minh often accused the Republic of Vietnam of being a puppet of the United States, a false accusation that proved to be a strong catalyst for the North to invade the South. President Ngo Dinh Diem knows this, which is why he stood firm on keeping America out of Vietnam’s internal problems. One of the strong points of the Vietnamese people thoughout history is their devotion to the country and their determination to fight invaders at all costs. When an invader comes, the Vietnamese people fight fearlessly. Both Ngo Dinh Diem and Ho Chi Minh were aware of this fact, which is why President Diem so strongly opposed American intervention in Vietnam’s affairs. 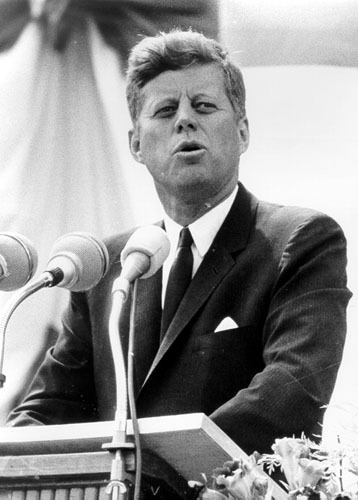 Ngo Dinh Diem would do everything in his power to keep out the Americans until his assissination in 1963 by the U.S. government under President Kennedy (above). It was only after the fall of Diem that the U.S. became involved. When the Americans entered the war, Ho Chi Minh siezed the opportunity to characterize the South as traitors of the country, puppets of imperialism, and welcomer of invaders. This alone ignited the patriotism and anger of the North, giving them the fire to defeat the Americans, and subsequently, the entire South Vietnam. Not only did the American involvement raise the fighting spirit of the North Vietnamese, but at the same time damaged the morale of the South Vietnamese soldiers. 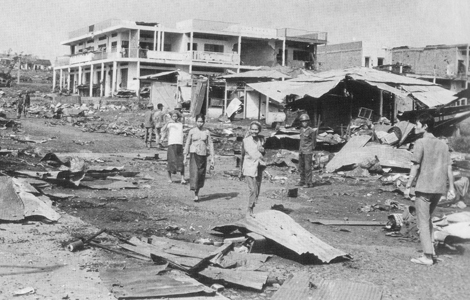 After the assassination of President Diem, South Vietnam was plunged into a period of chaos and civil disorder that would last for three years. 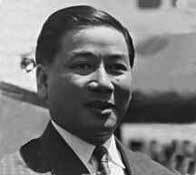 The Republic of Vietnam under President Diem was truly a prosperous nation, successfully keeping Ho Chi Minh and the Vietcong above the 17th parallel. The American assassination of President Ngo Dinh Diem created a golden opportunity for the Communists to launch their offensive campaigns. Before the death of Diem, North Vietnam only resorted to terrorist acts and fruitless invasion attempts. It was only after Diem died did the Communists start making successful advances downward into South Vietnam. The final reason that the United States should never have entered Vietnam is more closely associated with the end of the war around 1970 onwards. 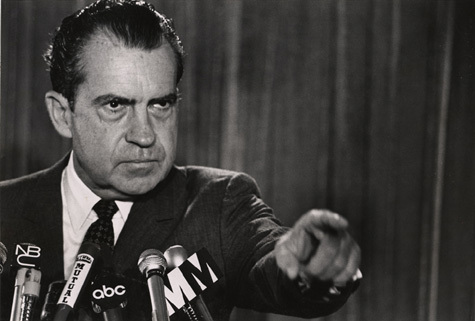 It was during this time that the United States of America was laying the groundwork for pulling out of Vietnam. The war was too costly, the American people could take it no longer, neither could their soldiers. America wanted out and were willing to do anything to achieve that end. After nearly ten years of fighting, the U.S. withdrew from Vietnam, leaving the South to fend for itself. After killing an able ruler of the South Vietnam government in 1963, losing more than 35 thousand soldiers, allying with Communist China, and having difficulty controlling the second President of the Republic of Vietnam, Nguyen Van Thieu, the Americans decided that they’ve had enough. 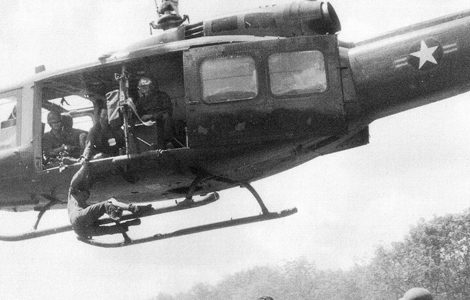 The Americans involved themselves in a Vietnamese conflict, unprepared for what lay ahead. So basically, after they came in and caused more harm than good to the people of South Vietnam, the Americans departed and left the South to drown in the mess that the U.S. helped create in the first place. The U.S. involvement was detrimental to South Vietnam for these reasons. First of all, U.S. involvment helped enforce Ho Chi Minh’s accusation that the South was the puppet of external powers who invited American invaders into the sacred land. Secondly, in order for the Americans to come in, they had to kill one of the most able men in South Vietnam. After Diem’s assassination, the North Vietnamese were finally able to advance on the South. Sadly, the Americans didn’t realize this consequence until it was too late. From the beginning, the United States was not aware of what they were getting into. This brings us to the final reason that America should never have been involved: they didn’t understand the nature of the war, who they were fighting, and why they were fighting. To America, the war was fought over the containment of Communism and the fear effect created by the idiotic “Domino Theory.” To the Vietnamese people, the war was about independence, freedom, and anti-colonialism. It wasn’t America’s war, that is why they should never have gotten involved.